Craig Wallace becomes Head Coach for season 2018 and Michael Leask returns to the club after a spell at Somerset. Wallace a former captain of the club and a product of their youth system takes over the role of head coach from Matt Walter. Currently a level 2 coach he brings to the role a wealth of experience gained both at Forfarshire and at international level where he has represented Scotland on 65 occasions. At club level he tops the runs aggregate for the club in the CSL Eastern Premiership scoring 2264 runs at an average of 45.28. Michael Leask who played for Forfarshire in the 2015 campaign after joining from Stoneywood Dyce will also assist Wallace with coaching. He returns to the club after two years as a professional at Somerset County Cricket Club where he gained experience in the T20 Blast and the first-class game. Also a current Scotland Internationalist where he has played 60 times hitting 694 runs and capturing 37 wickets. 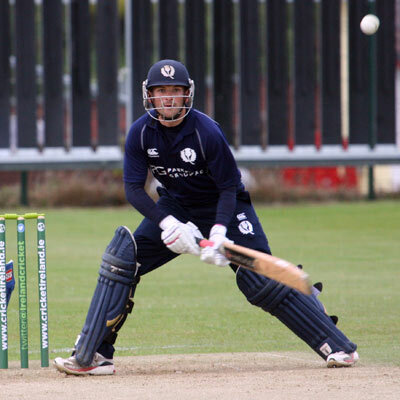 A hard-hitting batsman and off-spinner he will be a great asset to the Forfarshire line up as they look to improve their standings in the Eastern Premiership. The club have also announced that Australian Bill Kruip will be their Overseas Amateur this year. He is a fast/medium bowler and a hard hitting batsman who currently plays for Valleys Cricket Club in Brisbane where current Forfarshire players Rory Johnson and Callum Garden are spending the winter.